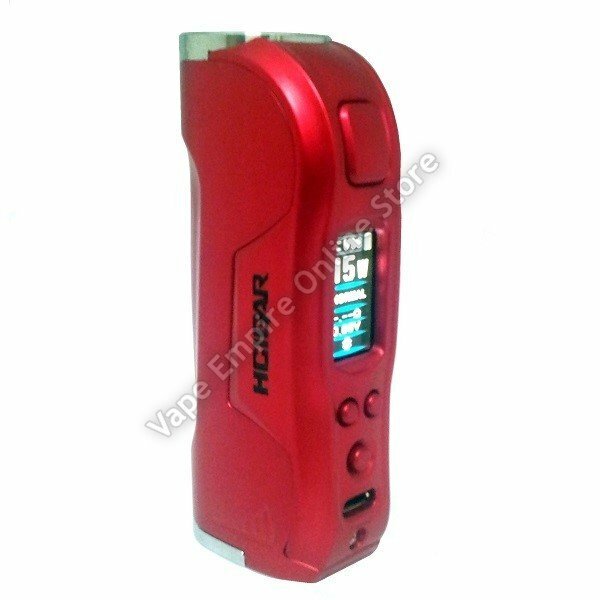 The HCIGAR Warwolf vape Mod has an output of 1-80 watts with temp control mode. Powered by a single 18650 battery (sold separately). The design of he Warwolf mod adheres to the ergonomic design concept, to reflect the perfect comfort hand feeling and humanized operation at the extreme. Its simple and elegant appearance, the special process of the surface strong anti-wear, makes it have a superior aesthetic value and also convenient to carry out.